It is cared for by Newton County and managed by the George Ade Foundation. George Ade was, at one time, one of the most famous writers in the country, and Newton County was and still is proud to call him one of their own. 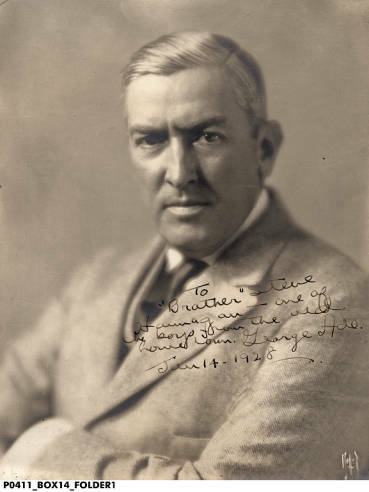 Born in neighboring Kentland, Indiana on February 9, 1866, he graduated from Purdue University in 1887. In the years after graduation, Ade became a journalist for several different newspapers. 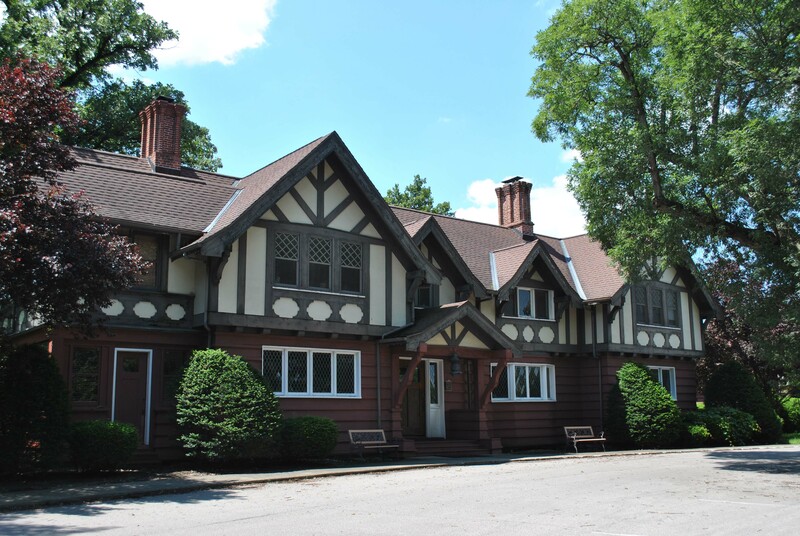 In 1904, Ade built an English Tudor estate near the banks of the Iroquois River, called Hazelden after his maternal English grandparents. Here, Ade hosted parties for Presidents, celebrities, and ordinary citizens. For more on our area’s rich history check out “The Newcomer” a newsletter published by the Newton County Historical Society. Become a friend of the Newton County Historical Society on Facebook and go to their website. The mansion completed by George Ade in 1904 is an Elizabethan manor house. 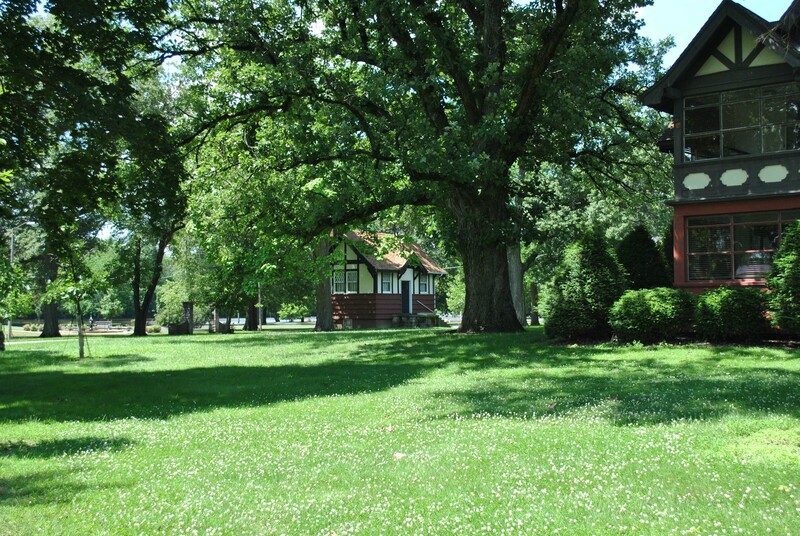 Ade purchased over 400 acres around the property East of Brook and thought the grove of oak trees near the Iroquois River was a “nice spot to put a little cottage.” The little cottage, which he envisioned as his escape from the busy Chicago writing scene at the turn of the 20th century, manifested itself into a grand estate. The property was a working farm with a cow barn and several smaller outbuildings along with a caretakers cottage. But the property also served as a recreations paradise with a softball diamond, swimming pool and elaborate gardens. Ade even created a garden in the shape of the state of Indiana itself. The home was decorated with the remnants of Ade’s travels East and features rich dark woodwork and large windows. The author enjoyed entertaining and hosted many parties for area residents. Conventions for his fraternity Sigma Chi and political receptions were also held at the estate. President William Howard Taft announced his campaign for the White House at rally at Hazelden in 1924. The playwright found any event, from the most mundane local signage change to the more grand national announcement, as a reason to organize a celebration.